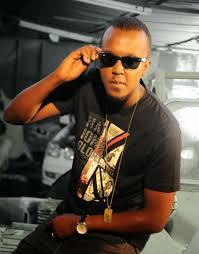 The undisputed king of dancehall in Kenya Kevin Wyre is one of the most respected and emulated musicians in Africa. The soft spoken Nakupenda pia hit maker was among the celebrities who attended the much hyped Mashujaa Pool Party that went down at Naivasha during the past weekend. His electric performance left many fans begging for more. Pictures from the event have been doing rounds and a section of wyre’s fans think that he went too far to grind with a female fan on stage bearing in mind that he is a married man. This comes at a time when Nameless was also found in a similar saga. Below is a picture of wyre having a good time with a female fan on stage. What do you think?